I’m sure you’ve heard the saying, ‘An apple a day keeps the doctor away’. There is truth in that but there is a truth that runs much deeper. If you’ve ever tried to lose weight or get healthier by choosing a specific diet, you’ll know they all have one thing in common. They limit you to a very narrow range of foods. Anything not on the list is banned. Vegetarians are only allowed fruit and vegetables and vegan’s choices are even more restricted. Then there’s the Paleo, Low Carb … all different and each claiming to be the ‘right way to eat’. Many people follow the latest ‘hip’ or ‘trendy’ diet in an attempt to become slimmer or healthier but here’s the thing. Nobody talks about the energy behind the function of eating. If you’re eating food that you don’t want or don’t deeply enjoy, then you are adding stress to your body. There is no ‘one size fits all’ and therefore I always offer a range of suggested foods that will aid and support the healing of an illness or weight loss. So if when you’re working with me and you see an item on my list of suggested foods that will help you heal, but you can’t stand it, then don’t eat it! If you hate the taste and it makes you throw up, then it’s not going to help you heal. The stress of forcing yourself to eat food you hate, will create stress and negativity in your body that will harm you. It works in reverse too. I once had a patient call me on a Monday morning to tell me he had eaten a steak over the weekend and felt really bad about it. This patient had been diagnosed with pancreatic cancer and a vegetarian diet was the best way to support his healing. Did you enjoy your steak? Did you like it? He responded by saying the steak was delicious! He was astounded so I explained my reaction to him. Due to his diagnosis, it would be much better for him to eat a vegetarian diet as it would reduce PH levels and start healing his body. But the fact that he enjoyed the steak so much brought a ton of positive emotions to his body which also added to his healing. The foods you eat with joy and fun will not harm you however, adding healthy food that you love and enjoy will definitely add to your healing. 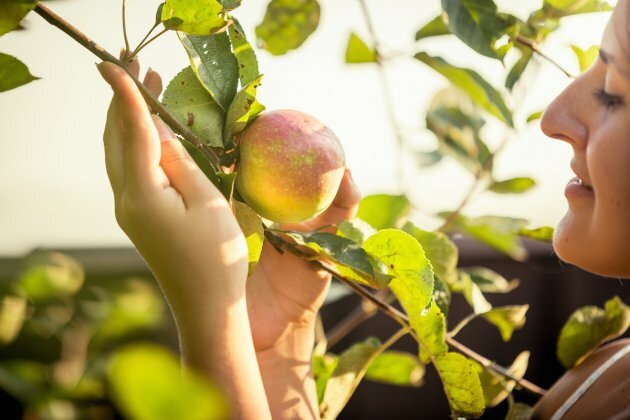 It might even be that the ‘apple a day’ is the first step to relieve your body from stress and support your system to recover. It is not necessary to change everything all at once. If organic food is out of your reach, then choose regular fruits and vegetables instead. Wash them thoroughly and enjoy. If you are ill and can only manage small steps, then start there. Your body is amazing and has an enormous capacity to heal. Offer as much as you can easily handle and your body will thank you. Whatever you choose to eat and drink, please, please enjoy them. The energy you eat with is much more important that what you eat. I’ll let you into a little secret. I love lemonade and every evening I have a glass of orange lemonade. I know it has industrial sugar in it and that this drink is definitely not healthy for me. But do you know what? It’s one glass a day and I really, really enjoy it. I show no signs of illness and haven’t been to a doctor in 30 years. I feel amazing and eat everything I want including fruits and vegetables which I add to my meals in fun ways. I maintain a healthy weight and never count calories. If you’d like to learn more about how you too can lose weight, love the food you eat and heal your body, then why not get in touch? 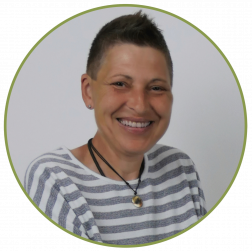 Martina Waidhas is an alternative health practitioner, medical intuitive, healer and communicator who works with both humans and animals to facilitate healing in body, mind and soul. She has studied a wide range of healing practices including epigenetics, quantum healing, energy psychology, spinal column and joint therapy and has achieved a master level in both Reiki and the NIS (neurological integration system) therapy. As a former chef, Martina is passionate about the link between food and illness and brings a holistic approach to her work that is second to none. Her unique combination of skills gives her an insight and range of healing practices that allow her to tailor her treatments to suit each individual client. What do you gain from pain or disease? Why Do We Get Sick Sometimes? Are You Struggling With Your Size? Are You Seeing The Truth? Will A Win At The Oscars Make You Happier?